LAYER aids aircraft manufacturer with economy class seating with business class comfort and tech innovations galore. Flying economy class for more than an hour or two these days presents a bevy of ergonomic challenges prone to leave anything but the impression of friendly skies. In the pursuit to maximize costs, air carriers have inched toward draconian bare bone seating, lining up passengers ever closer with a minimum of legroom, and increasingly only the suggestion of cushioning. 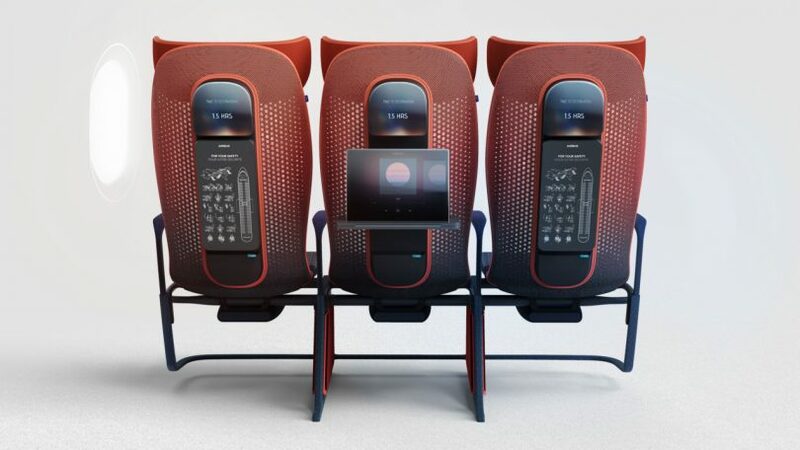 Which makes the promise of Move seating by LAYER for aircraft manufacturer Airbus a heartening reboot for economy class travelers looking for a little more control while traveling across short-to-middle haul routes.